So she went back to school. Today, she teaches watercolor classes, sells her work at craft fairs, and does various commission works. 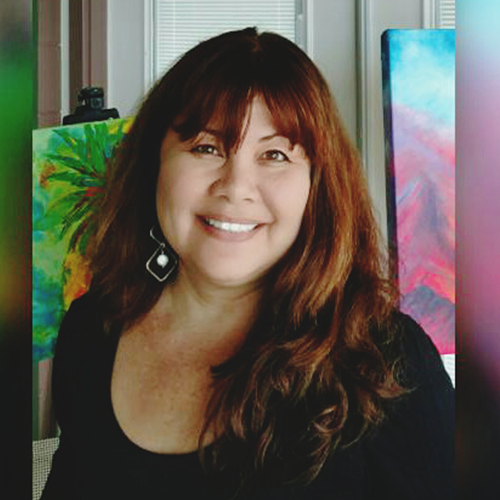 What led to your art studies at UH Maui College? I’ve been interested in art since elementary school. I had the opportunity to attend afters-school art classes and continued to be inspired by various media in high school. I received an associates degree at Maui Community College (now UH Maui College) in business. I was happily a busy wife and mother of three and my art took a back seat. In the 80s, when I first attended, my focus was on getting educated in business and getting a job to help support my family. Pursuing an art career at that time was just not doable. 30 years later, I was excited to be back in school attending art classes. What was it like to return to school after all those years? At first I was both really nervous and excited. My husband was very supportive and encouraging. Associate Art Professor Michael Takemoto created a very positive learning environment for students. The art classroom had paint on the floor and the walls, and if you’re an artist, this tells you that this is a place of learning and creating. I was eager to challenge and push myself in various directions, creating art. I was surrounded by art students of all ages. Each student inspired me. We all encouraged and learned from one another. I had the wonderful opportunity to be an assistant artist to Samuel “Kammy” Kaiwi on a mural titled Makahiki. This grand mural on UH Maui campus stands more than two stories tall. This was a wonderful experience in many ways. I learned to work as a team with other artists and to be comfortable painting outdoors in the elements as well as in a public environment. These are just some of the skills I gained at UH Maui that I can now apply in my professional art career. UH Maui has really opened doors for me in many ways. How is your life as a working artist? I recently had the opportunity to teach watercolor painting at Kaunoa senior services. I’m so fortunate to once again be surrounded and be inspired by other artists. My intention is to create a positive learning environment the same way that Mr. Takemoto has done for his students at UH Maui. My art is not work for me. It’s a work of love. It comes from my heart and soul. It makes me very happy and I am happy to share what I have learned with others. What are your best memories of your time at UH Maui? The opportunity to be surrounded by other artists and watching a young student for the first time discover a skill and create an exquisite piece of art. 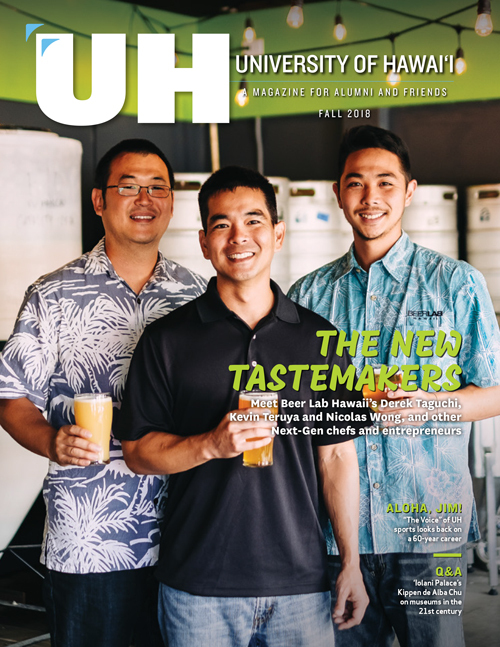 Who were your favorite instructors at UH Maui? Mr. Michael Takemoto and Mrs. Gwen Arkin. Both professors encouraged me in many creative directions. They introduced me to various aspects of the art world that will support my vision. What do you get from your own art? Learning never stops. Do something that you love, something that brings you happiness. Feed your mind, body and soul. Share this happiness with others. To try to make my art work for me. I love it so much, but I need to make it work financially. What I really want to do is open a working studio, continue teaching, and have retail space. When I get my own studio, I want to invite family and friends and let’s paint!